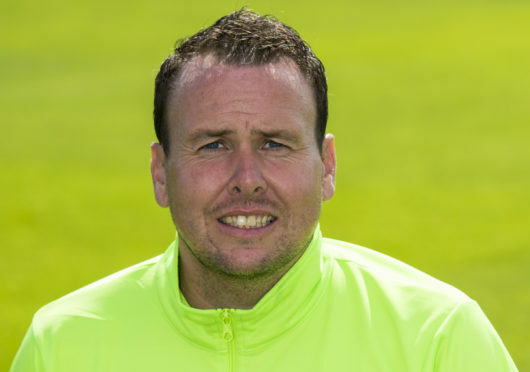 Caley Thistle assistant Scott Kellacher. Caley Thistle assistant manager Scott Kellacher admits Ross County are favourites to triumph in Monday’s Scottish Cup Highland derby at Victoria Park. The Staggies defeated Inverness 2-1 at Dingwall in the sides’ last encounter in December, with the previous two league meetings this season ending in draws. With County three points clear at the top of the Championship, and 12 points ahead of Inverness, Kellacher feels Stuart Kettlewell and Steven Ferguson’s men hold the upper hand ahead of Monday’s last-16 tie. Kellacher said: “Traditionally, we’ve been the shock team beating the bigger sides and I’d say Ross County are favourites, with them being up at the top of the league for so long now. “They’ve had a good season so far. We’re pushing to try to get there but we’ve been a little bit up and down. “It’s up to Ross County to handle being favourites. We’ll go through there quietly confident. We’ll have a gameplan and look to execute it. “They’ve got quality in the likes of Brian Graham and Billy Mckay and they’re good in the middle of the park with Ross Draper in there. “They’ve got a good solid squad and that’s helped them throughout the season so far, whereas we’ve got a small squad and have asked the same boys to keep going. Kellacher is hopeful John Robertson’s squad will be boosted by the return of three of his most experienced players, with wingers Tom Walsh (foot) and Aaron Doran (groin) and goalkeeper Mark Ridgers (back) hoping to be in contention. He added: “Tom Walsh and Aaron Doran have been back training this week. Mark Ridgers, with his back injury, is still touch and go at the minute. “It would be massive to get those players back. Experience is a big thing in these games – I think it is underestimated. “Boys who have played in the fixture know how to handle the occasion. They know when to put their foot on the ball and take the sting out of the game, keep control of it rather than panicking in certain situations. Inverness boast a rich Scottish Cup pedigree having won the competition in 2015, while yesterday marked the 19th anniversary of their stunning 3-1 victory over Celtic at Parkhead prior to their first spell in the top-flight. Kellacher hopes to create more memories to cherish, adding: “It’s massive for both clubs. It’s a shame we had to meet each other, to be honest. That’s the disappointing part. “We want to get there. We’ve done well in the cup over the years and there will be nothing different this time around.